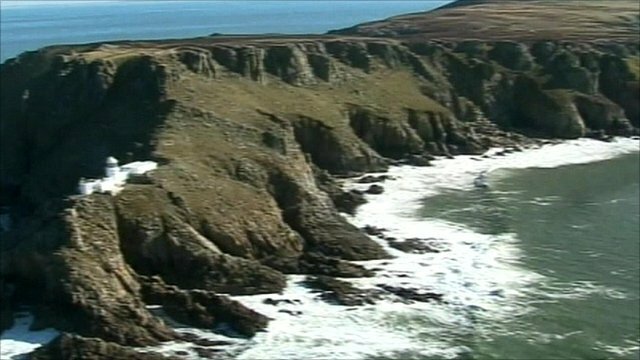 Charting the changes off Lundy's coastline Jump to media player "No take" zone off island's coast credited for conservation success. Turbines 'would overwhelm Lundy' Jump to media player The charity which owns Lundy Island off north Devon describes why the proposed site of a wind farm in the Bristol Channel is inappropriate. Protecting the UK's rarest coral Jump to media player The waters around Lundy Island in the Bristol Channel are home to more species of marine life than any other part of Britain. It is the largest island in the Bristol Channel and if you grew up in the West Country you have probably made the trip over to Lundy island. In 2003, a No Take Zone was introduced off the east coast of the island, which made it illegal to remove sea life from a small area. As part of Points West's 60th anniversary celebrations, zoologist and natural history presenter Miranda Krestovnikoff took to the waters to find out how Lundy's "No Take Zone" has been working.